I am doing a lot of research on lenses for a Nikon D810 I have bought. I've exhausted DXO Mark. Does anyone know of other companies that test lenses and provide accurate data about lens sharpness, chromatic aberrations level, etc? I'm ultimately looking for a 21mm wide angle that is crazy sharp but am having a hard time finding one I think I would be satisfied with. Any help appreciated. My suggestion is buy the lens from B&H and you test that sample for sharpness with lens testing chart. You will find variation from lens to lens.Do that till you get that super sharp one you want. http://www.opticallimits.com formally known as Photozone, lens evaluations for many lenses on ff testing and half frame testing. You should check out the Tamron 15-30 2.8 lens, an extremely sharp zoom rated very highly. Huh? 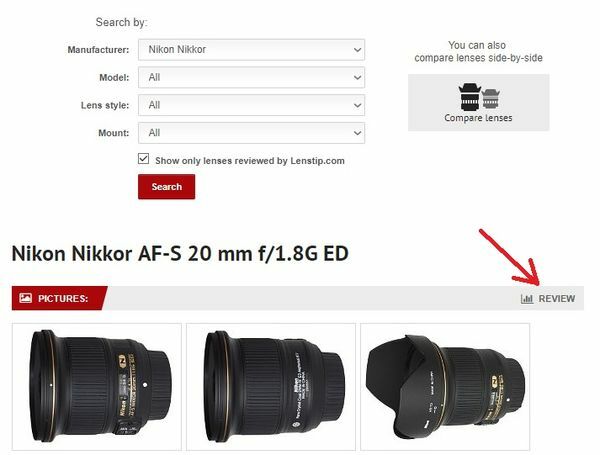 Rent lenses from borrowlenses.com or lensrentals.com and see for yourself. Real world testing with the type of photography you favor mean more than stats. For a D810, the Nikon AF-S NIKKOR 14-24mm f/2.8 ED is sharp as a bucket full of tacks over the entire range of the zoom. the schidt you're worrying about is pointless. The review won't automatically come up after using the search boxes. You still need to click on Review. Lens sharpness has more to do with the photographer's knowledge and skill than DXO marks. And, it will always be that way. Zeiss, Nikon, Canon all make outstanding wides. If sharpness is your primary criteria, also look into the Nikkor 18-35. DxOMark rated it equal in sharpness to the 14-24, and just behind the 20mm. I fully agree. Thorough and objective, and never gushy or overly enthusiastic. One of the few I really trust. Cathy, can't help but wonder: 21mm is pretty specific. If you are specifically looking for a Prime lens "at-or-near" that length, Nikon markets two 20mm AF FX lenses. I have one and love it. Perhaps you can follow RGrenader's advice and rent one to see if it fits your needs. Modern lenses are very sharp and I admit that I am not familiar with any "crazy sharp" lens. Sharpness depends more on you than on the lens. Let me put it this way, I never used a lens that failed to do its job when I did mine. Modern professional zooms are as sharp as their prime counterparts. The Nikon 14-24 f2.8 is a very good sharp lens. I have seen 20x30 inch enlargements from that lens and the quality is superb. For my crop sensor and my so called full frame camera (D610) I use an old Nikon 12-24 f4 AF-S lens and I consider the lens very sharp also. Do not agonize over "crazy sharp" lenses. Get the lens you want, use good technique and expect results that will blow your mind. That is "crazy sharp" for.... Closeup? Landscape? Architecture? Astro? Also are you looking for a 21mm prime? I do not think there are a lot of those out there.